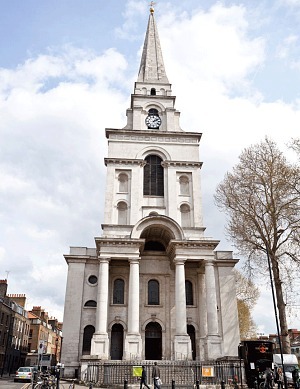 This iconic building Christ Church Spitalfields in the heart of London built in 1714 was the chosen venue for one of our brides. Here we went for tall jumbo centerpieces to fill the vast space and high ceilings of the venue. Wedding, Weddings, Events, Weddings Kent, Weddings London, Weddings Essex, Events Essex, Events Kent, Centrepieces, Starlight backdrop, Wedding Starlight backdrop, Starlight backdrop essex, Starlight backdrop London, Wedding Centrepieces, Wedding Centrepieces Essex, Wedding Centrepieces London, Wedding Centrepieces Kent, Wedding Centrepieces Hertfordshire, Wedding Centrepieces to Hire, Cheap Centrepiece Hire, Cheap Centrepieces Hire Essex, Cheap Centrepieces Hire Kent, Cheap Centrepiece Hire London, Cheap Centrepiece Hire Hertfordshire, Cheap Centrepiece Hire Kent, Wedding Decor, Wedding Decor Essex, Wedding Decor London, Wedding Decor London, Wedding Decor Kent, Venue Styling, Venue Styling Essex, Venue Styling London, Venues Kent, Venue Styling Kent, Candy Tables, Candy Tables Essex, Candy Tables Essex, Candy Tables Hertfordshire, Candy Tables Kent, Candy Centrepieces, Candy Centrepieces Essex, Candy Centrepieces London, Candy Centrepieces Hertfordshire, Candy Centrepieces Kent, Candy Centrepieces for Hire, Chair Covers, Sashes, Chair Covers Essex, Chair Covers London, Chair Covers Hertfordshire, Chair Covers Kent, Chair Covers & Sashes, Chair Covers & Sashes Essex, Chair Covers & Sashes London, Chair Covers & Sashes Hertfordshire, Favours, Wedding Favours, Wedding Favours Essex, Wedding Favours London, Wedding Favours Hertfordshire, Wedding Favours Kent, Hire, Hire Essex, Hire London, Hire wedding Hertfordshire, Hire parties Kent, Hire wedding Items, Hire Items London, Children parties, Children parties Essex, Childrens parties London, Childrens parties Kent, Hire Items Essex, Hire Items Hertfordshire, Hire Items Kent, Wedding Hire, Wedding Hire Essex, Wedding Hire London, Wedding Hire Hertfordshire, Wedding Hire Kent, Wedding Centrepieces for Hire, Centrepieces for Hire, Chair Covers for Hire, Wedding Chair Covers for Hire, Sweet Jars, Sweet Jars for Hire, Sweets, Sweet Jars for Hire Essex, Sweets Jars for Hire Hertfordshire, Sweet Jars for Hire Kent, Vases, Vases for Hire, Vases for Hire Essex, Vases for Hire London, Vases for Hire Hertfordshire, Vases for Hire Kent, Wedding Seat Covers, Candelabra, Candelabras, Candelabras for Hire, Wedding Candelabras, Wedding Candelabras for Hire, Candelabras for Hire Essex, Candelabras for Hire London, Candelabras for Hire Hertfordshire, Martini Vases, Martini Vases for Hire, Martini Vases for Hire Essex, Martini Vases for Hire London, Martini Vases for Hire Cambridgeshire, Fishbowl Vase, Fishbowl Vase for Hire, Fishbowl Vase for Hire Essex, Fishbowl Hire, Fishbowl Vase Hire Hertfordshire, Fishbowl Vase Hire London, Fishbowl Vase for Hire Cambridgeshire, Mirror Plates, Mirror Plate Hire, Table Crystals, Scatter Crystals. Table Decor, Wedding Table Decor, Table Decor Essex, Table Decor London, Table Decor Hertfordshire, Birdcages Hire, Wedding Signs Hire, Rustic Chalkboard Hire, Chalkboard, Rustic Metal Jugs, Table Numbers, Table Names, Wooden Crates, Wooden Crate Hire, Rustic, Lace, Vintage, Rustic Weddings, Rustic Weddings Essex, Rustic Weddings London, Rustic Weddings Kent, Wedding post box, Centrepieces Essex, Vase hire Essex, Vase hire Hertfordshire, Vase hire Kent, White Wedding, White Weddings, White Weddings Essex, White Weddings London, White Weddings Kent, Asian Weddings London, Asian Weddings Essex, Asian Weddings Kent, African Weddings Essex, African Weddings London, African Weddings Kent, Nigeria Weddings Essex, Nigeria Weddings London, Nigeria Weddings Kent, African Traditional Weddings Essex, African Traditional Weddings London, African Traditional Weddings Kent, Wedding Decorator, Wedding Decorator Essex, Wedding Decorator London, Wedding Decorator Kent, Chafford Hundred, Wedding Decorator, Wedding Decorator Essex, Wedding Florist, Wedding Florist Grays, Wedding Florist Essex, Wedding Florist Kent, Wedding Florist London, Wedding Organiser, Wedding Organiser Essex, Wedding Organiser London, Wedding Organiser Kent, Party Planner Thurrock, Party Planner, Party Planner Essex, Party Planner London, Party Planner Kent, Balloon Decorator Essex, Balloon Decorator Kent, Balloon Decorator, Balloon Decorator London, Kent, Wedding decorator, Wedding decorator Kent, Wedding decorator Essex, Wedding decorator London, Certified Balloon Artist, Luxury wedding decorator London, Luxury wedding decorator Essex, Luxury wedding decorator Kent, Red Carpet, Poles and Barriers, wedding venue stylist. Beautiful Balloon Decorations, Beautiful Balloon Decorations Essex, Beautiful Balloon Decorations London, Beautiful Balloon Decorations Kent, Balloon Artist, Balloon Artist Essex, Balloon Artist London, Balloon Artist Kent, Party Decorators, Party Decorators Essex, Party Decorators Kent, Party Decorators London, Wedding Accessories, Candles, Tealights, Broaches, Venue Dressing, Venue Dressing Essex, Table Dressing, Venue Decor, Table Decor, Easel, Easel Hire, Martini Vase, Cylinder Vases, Table Crystals, Glass Stones, Pearls, Manzanita, mood lighting, throne chairs, king and queen chairs.